Now view your Twitter, Google+ feeds in your Inbox itself. 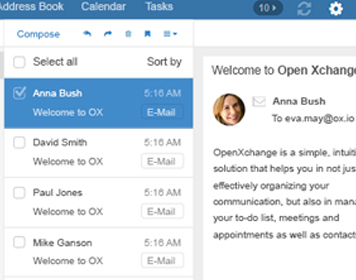 OpenXchange brings all your social media under one roof..
Q. Can I create mailing lists? Yes, you can create mailing lists and add/delete users, select a moderator, restrict people from joining a list or even ban users from a list. More information on this can be found in our knowledgebase.